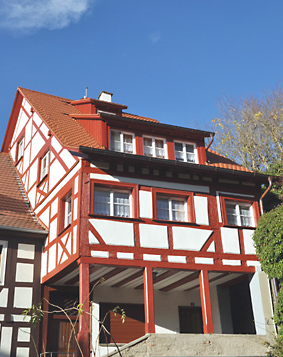 The historical timber-frame building of the 16th century is situated in a quiet and popular residential area in the heart of the historic town of Überlingen. 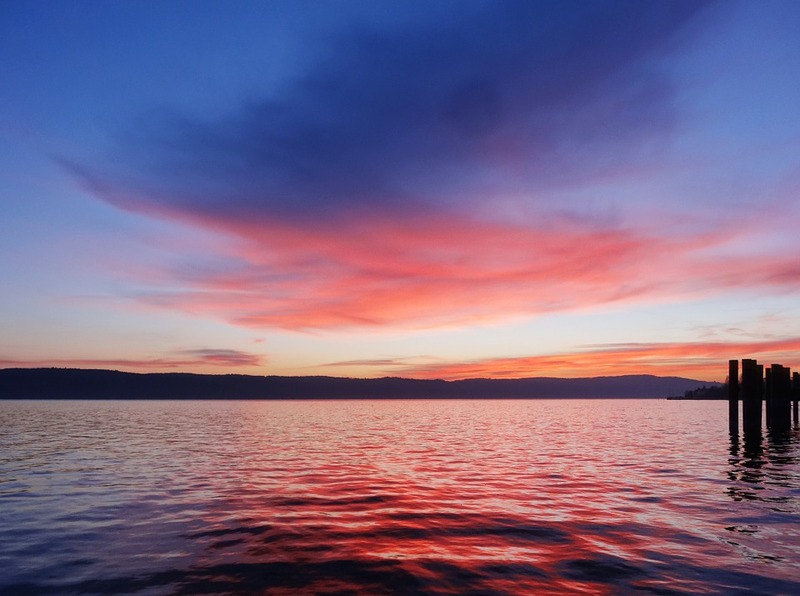 The Lake of Constance, the waterfront with boat landing and the beach can be reached on foot in a few minutes. The trainstation "town center" is only 300 meters away. The public transport connection by boat, train and bus is very convenient. Constance, Mainau Island or the Rhine Falls near Schaffhausen invite for a visit. 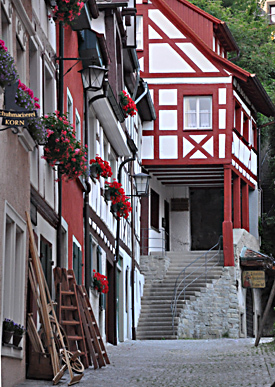 With the guest card, the whole family or any guest can use the bus network of Überlingen for free for the whole duration of the stay. 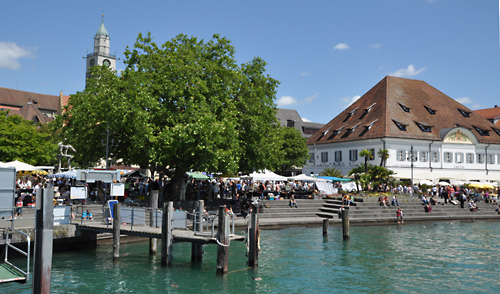 The airports of Friedrichshafen and Zurich are easily accessible and provide an alternative arrival to the car. Also popular: trips by bicycle around the Lake of Constance. 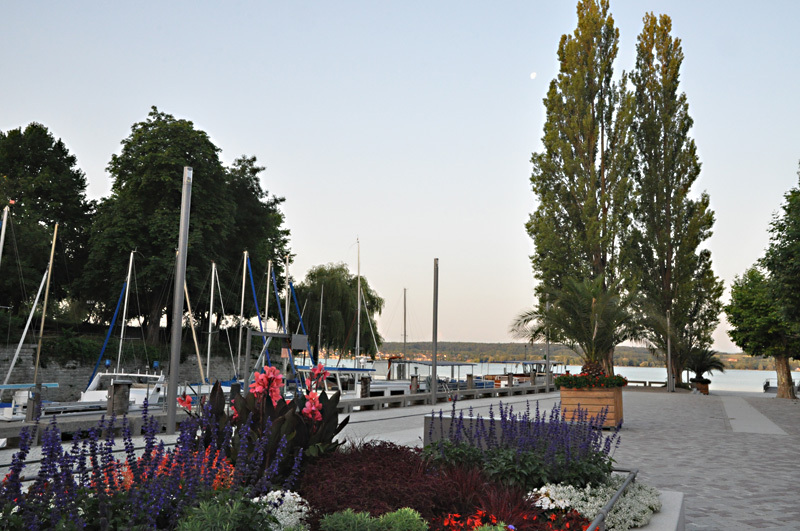 Überlingen offers a beautiful location for this and the bikes - as well as a stroller - can be kept safely in a lockable room. The apartments are on the first and second floor. 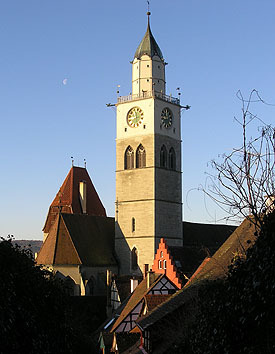 They are quiet and bright, with view to the Überlingen cathedral and the picturesque historic part of town. Shopping facilities nearby e.g. (open on Sunday parttime) in the Greth at the lake are within walking distance. Each apartment has 2 bedrooms, a living room with dining area, a kitchen, bathroom, pantry and hallway. 2016, the apartments were re-evaluated by an independent expert on dtv rules and have been classified. The apartments earned, as before, very good 4 stars (certificate). The price is 95, - € / night in high season from 01.04.-31.10. and 89, - € / night before April and after October in the low season (2019). The minimum stay is 5 days. This amount includes - in addition to the tax - the following services: Bed linen, towels, satellite television and radio, final cleaning. The price is 95, - € / night in high season from 01.04.-31.10. and 89, - € / night before May and after September in the low season (2019). The minimum stay is 5 days. This amount includes - in addition to the tax - the following services: Bed linen, towels, satellite television and radio, final cleaning.